There are always some different rules between every man when it comes about men’s fashion and the best stylish ways how to wear men’s clothes. How do to figure out which shoes go with each shirt? Or do you match your shoes to your pants? Does it really matter which color socks I wear? There are a lot of guys who had no clue what to do and how to pick up the right combination for next going out. 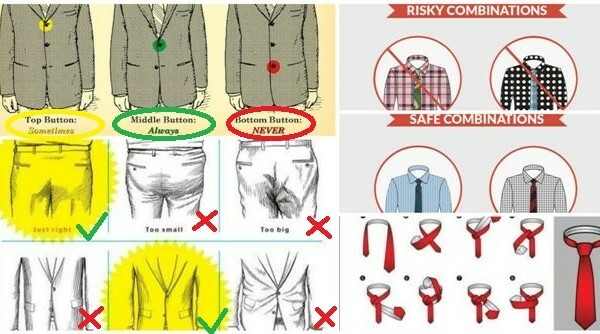 In this article Allforfashiondesign team collect 12 super helpful style chart that every man must know. watch and learn to be always modern and stylish. Enjoy!